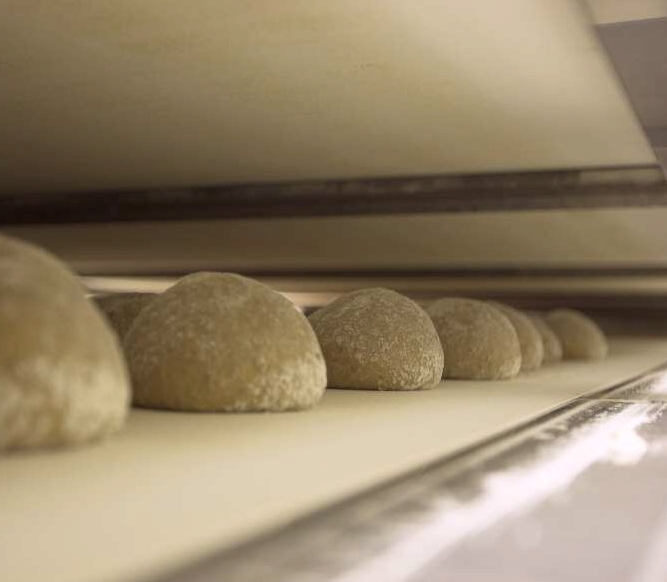 Hearth Bread Line with Belt Proofer | Naegele Inc.
Freestanding bread production is the oldest method of baking, when no baking pans were available. After kneading the dough manually, it was put in baskets to proof. The baker would then manually fill his stone oven by putting the dough pieces on the oven floor by means of a long spoon. Is final proofing preferred on flat surface or in baskets? For flat surface proofing, the concept choice should be a “Peelboard Line” or a “Belt Proofer”. Besides the peelboard solution, the line concept with a belt proofer is the second option when proofing can be done on a flat surface. 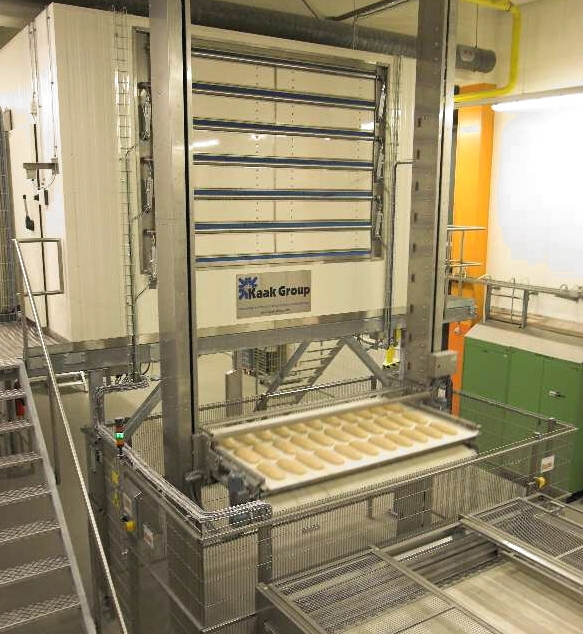 The dough make-up line will transfer the dough pieces onto the wide proofer infeed belt by means of a retracting belt system. Thus, an accurate pattern of dough pieces is made, that will stepwise enter into the Multi-Deck belt proofer. The proofer belts have the same width as the oven belt. The length and number of decks are determined by the line capacity. This layout requires that the proofer and the oven are in line.